What I mean by "very positive" is - if you take a home pregnancy test on the first day of your missed period (or within just a day or two) and you get a distinctive, dark, second line or plus sign. Most women experience a faint line when testing this early. Pregnancy tests detect the pregnancy hormone hCG (human chorionic gonadotropin). It is beleived that a woman carrying twins would have higher levels of this hormone and therefore a stronger positive or earlier result. In my own experience, I decided to get some of those expensive home pregnancy tests that claim to show a positive result (if you are indeed pregnant) days before your missed period. Now that I have my twins, I think back about my test results... I never had a positive result until the day of my missed period (I took several tests during the week before my period was to arrive...All negative!). And, although I did get the distinctive second line on the day of my missed period, you would have thought I was the perfect candidate for an early result. But alas, our bodies are all different! Keep in mind, a blood test or ultrasound at your doctor's office will yield a more accurate result. Due to increased blood volume and a growing uterus, twin mothers usually experience a slightly higher weight gain than mothers of singletons. Approximately five pounds, give or take, more than a singleton mother by their second trimester. But this can still vary greatly due to many other factors including the mother's pre-pregnancy weight. So think of it as a general guideline. Even though measuring large for gestational age may be a sign of a twin pregnancy, it is widely accepted that a second pregnancy "shows" sooner than a first pregnancy. So it does not always indicate twins. If this is a first pregnancy it may be harder to determine by yourself without prior experience or your doctor‘s advice. Also, your pre-pregnancy size will be a factor. A smaller framed, slim woman will almost always start showing any pregnancy sooner than a larger or heavier woman, as a general rule. Coupling a large gestational age measurement with some of the other factors mentioned here would be a stronger indication of a twin pregnancy or could add to your twin pregnancy symptoms. As if feeling sick and tired isn't bad enough, many mothers carrying twins can experience this twofold! But don't get discouraged just yet. 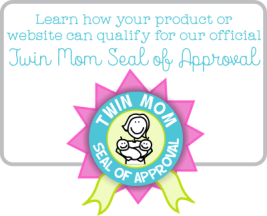 I know at least a few moms of twins that had neither the fatigue or morning sickness. Both morning sickness and fatigue have to be among the most common complaints of any pregnancy (even with singletons). Some women experience one, both, or neither. So, the best way to gauge if your pregnancy symptoms are due to twin babies would probably be your experience with a previous pregnancy. Mothers who had singleton pregnancies prior to having twins will often tell you that they felt extra tired or nauseous when carrying their multiples. Most pregnant women don't feel fetal movement until about 18 to 22 weeks. It is arguable that you would feel movement earlier than this even if you are pregnant with twins. Although, many women expecting twins claim to feel movement earlier than normal. If this is a first pregnancy it may be difficult to determine if what you are actually feeling is indeed fetal movement. Also, a single fetus may be more active than usual causing stronger sensations in the womb. If this is a subsequent pregnancy you might have a sneaking suspicion or other indication that that something is different with what you are feeling. I have a friend who (in her first pregnancy) did not feel her twin babies move at all until the 23rd week! She said, "I can't believe that during the ultrasound my babies are clearly moving, turning, and kicking so much, yet I can't feel a thing!" Again, every body is different. Believe it or not, this is very common! Countless mothers of twins claim to have had some type of foretelling regarding their twin pregnancies. This type of twin pregnancy "symptom", if you could call it that, isn't exactly text book. However, it may have better accuracy than some of the more conventional signs and symptoms of twins. Go figure! There is no better tried and true method of determining a twin pregnancy than having an ultrasound (also called a sonogram). On the ultrasound monitor your doctor or other professional can usually distinguish two fetuses and/or two heartbeats with ease. Indeed, many obstetricians perform an ultrasound as a definite confirmation of pregnancy at your first appointment. 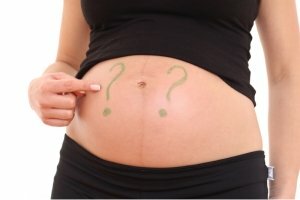 A great way to confirm if your twin pregnancy symptoms were correct! Remember, twin pregnancy symptoms will vary greatly from woman to woman. One person may have all the symptoms listed here while someone else might have only one or two signs of twins. 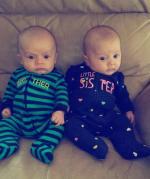 And yet another may experience no special pregnancy symptoms at all when expecting twins. Read our article Am I Having Twins? to find out more information.